You either sit in the bath or stand in the shower – that, at least, is the age-old paradigm this design seeks to overturn, or at least flip on its side, with a comfortable and therapeutic alternative. 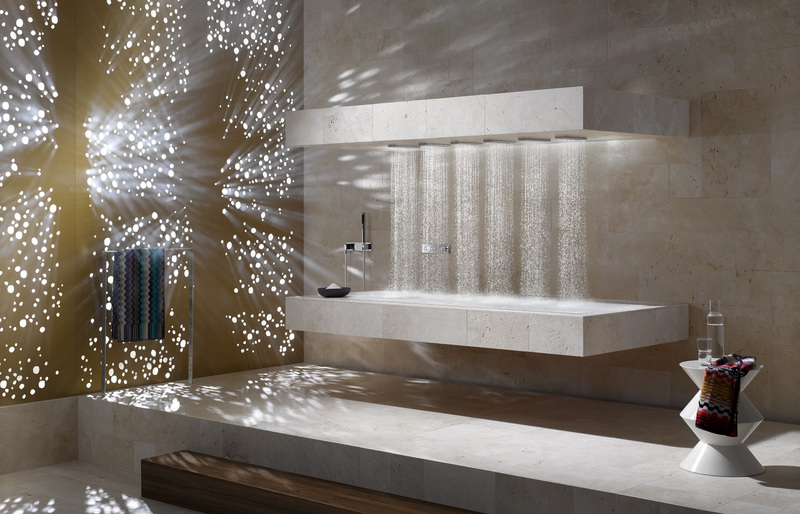 The German company Dornbracht has six programmable shower heads that deliver everything from a steady stream to an articulated water massage. 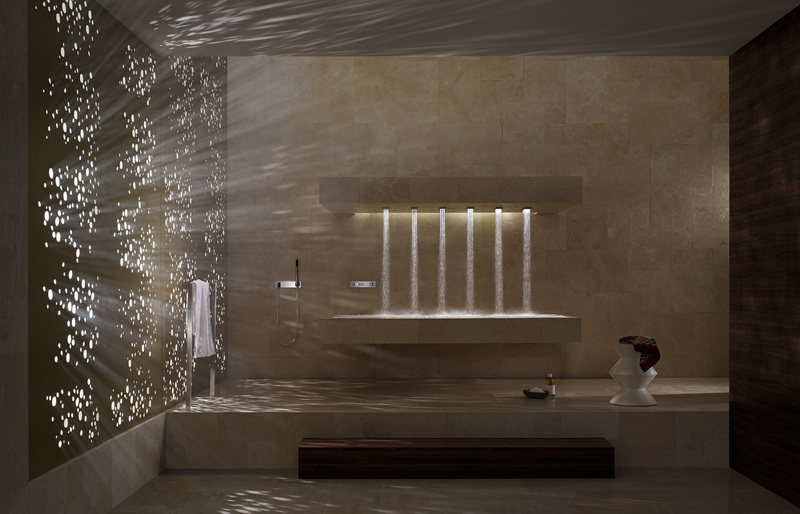 Like a more conventional shower, drains in the floor discreetly carry off water that pours over the edge. 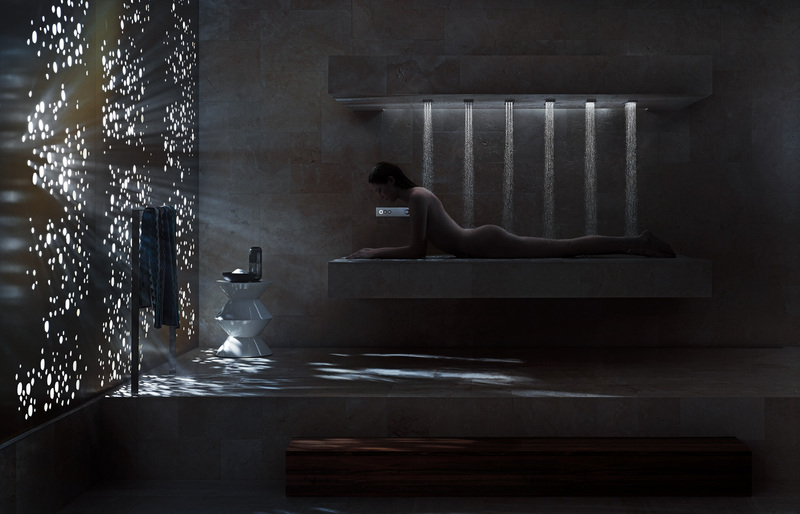 But unlike a standard shower — or even most of those designed with accessibility in mind — “Horizontal Shower” lets you lay down to bathe. Arrayed in a straight line and typically German in terms of its minimalist profile, this accessible futuristic shower design consists of a cantilevered overhead slap up high and a lower-down one on which to lay. Controls are placed right at hand for easy manipulation while you relax on your front, back or side.